BIC - Bandariyah International Co. Ltd.
Turbomach is a leading manufacturer of industrial gas turbine-based cogeneration systems. The company is a fully integrated part of Solar Turbines, the leading manufacturer of mid-range industrial gas turbines with over 60 years of experience. The Solar Turbines family has over 6000 employees worldwide, of which around 400 are located at Turbomach in Switzerland. Over 13,000 turbines have been manufactured by Solar Turbines, with a total operating experience of over 1.4 billion hours. These gas turbine units operate in over 95 different countries and under varying conditions, including arctic, desert, tropical and offshore. Turbomach is a part of Caterpillar Inc., the world's leading manufacturer of construction and mining equipment, diesel and natural gas reciprocating engines and industrial gas turbines. 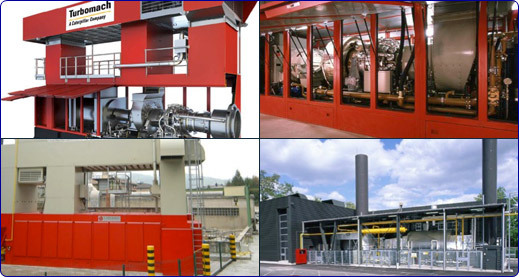 Turbomach packages and power plants are constructed in accordance with international or European standards applicable in the power generation industry.